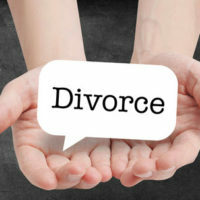 If you are like hundreds of thousands of other Americans who face divorce every year, you might be wondering if your situation is even complicated enough to justify hiring a lawyer. At the Law Offices of Todd K. Mohink, P.A., we understand that people are often hesitant to hire a lawyer. There are a lot of conflicting emotions surrounding a divorce, and hiring an attorney can be a big step. To help with this decision, consider a few important points. Yes, You Can File Your Own Divorce, But Should You? Filing a divorce is really as simple as drafting a petition, taking it to the courthouse, and paying the required fee to file it. In fact, Maryland courts even give you the template forms. But filing for divorce is very different from getting a divorce. It’s important to distinguish these two things. You can ask a court for just about anything if you are willing to pay the filing fee. But the procedural rules that are in place often make it a very time consuming and lengthy process for those who do not understand the rules. So the answer is yes, you can certainly file for divorce. But this does not mean you should. Is Your Divorce Really as Simple as You Think? Maybe you don’t have children, so you figure you have nothing to fight over. Maybe you are correct, and maybe you are not. Consider this. Has your spouse agreed to division of property? Will either of you be unwilling to part with the home or apartment? Have you been married more than 5-8 years? Is one of you earning significantly more than the other? If you answered yes to any of these questions, you may be surprised to find out that there could be unforeseen issues to deal with. Some people start a divorce thinking they agree, only to quickly discover there are more issues to resolve than they expected. There is a general misconception that just the act of hiring a lawyer will make everything worse. People think that their spouse will get upset and take it as an attack, then everything will get ugly. Naturally, this is always a risk either way. Whether you hire a lawyer or not, someone has to file the petition and make allegations. That person still has to have the other spouse “served” with formal divorce papers. There is still a dispute and a legal proceeding. The only difference is that when you do it yourself, there is no one there to guide you and make sure errors are avoided. Even if you think everything is straightforward, there is no harm in speaking with an attorney. In fact, sometimes a single attorney can help resolve an “uncontested” divorce amicably and in far less time than if you did it yourself. Talk to Todd K. Mohink in Maryland today by calling our office or visiting us online to learn more.